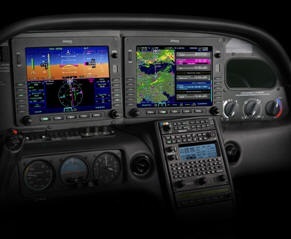 May 22, 2015 - On Monday, the FAA issued an Emergency Airworthiness Directive (AD), 2015-10-51 was sent to owners and operators of all aircraft that incorporate Avidyne Corporation (Avidyne) Integrated Flight Displays (IFDs) part number (P/N) 700-00083 loaded with software release 9.3.1.0 or earlier release (referred to as Model R9 – 10 inch), P/N 700-00171- loaded with software release 9.2.5.0 or earlier release (referred to as Model R9 - 12 inch), and P/N 700-00182- loaded with software release 10.0.3.0 or earlier release (referred to as Model IFD540). This emergency AD was prompted by reports of Avidyne IFDs displaying incorrect course deviation indication information during GPS approaches (incorrect display of lateral deviations). This condition occurs when the airplane is flying in certain approaches, the leg to the Final Approach Fix (FAF) is active, and the leg to the FAF is not aligned with the final approach course (i.e., an angled entry to the FAF). The software of the Avidyne IFDs as referenced above will produce lateral deviations to the final approach course as soon as the leg to the FAF becomes active. Therefore when the leg does not align with the final approach course, the CDI will show a deviation when, in fact, the aircraft is on the proper course for the active leg.